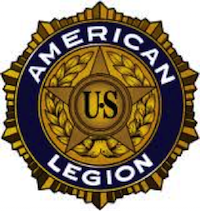 The American Legion Post 227 in Shoreline will hold their monthly meeting on Tuesday evening, April 2, 2019. A meet and greet starts at 6:30pm and the program starts at 7:00pm. Both veterans and the public at large are invited and welcome to attend. Joseph Wankelman, retired Army pilot of the Apache helicopter, who served in Iraq and Afghanistan, will provide a first-hand, unclassified look into the capabilities, purpose and mindset of what it takes to become an elite member of a community that has the reputation throughout all services of being the X-factor in today’s war on terrorism. There will be an opportunity for questions after the presentation. While you are at the meeting, you can check out the Post Library that includes a large collection of military related books, video tapes and DVDs. Any of these can be checked out, used and returned by post members and community without charge. Also check out the Post 227 website HERE.